The quote above, slightly amended, is from a character called Rincewind by a book from Terry Pratchett. Of course, being somewhat sold on the benefit of public libraries, I would add to the “oppressed people” a whole list of others – including those with mental illness as mentioned in a post below – but the quote is a good one and needs reusing, again and again. Being I have not updated PLN since Sunday there’s a lot of news below. The stand outs for me are: Surrey is strongly considering a big u-turn on forcing volunteers to run their libraries and providing those that will be volunteer-run with more support; the US company LSSI has scrapped its always ambitious 15% target for running public libraries having taken over precisely none in the last year; the lack of investment in Angus and North Tyneside that is beginning to seriously inconvenience library users … hmmm, well, there’s a lot. Have a look. More newspaper coverage than public libraries would normally receive in a month, in three days. The ambition must be for all of us to continue tipping the quality of that news to the positive in the hard times ahead. 420 libraries (330 buildings and 90 mobiles) currently under threat or closed/left council control since 1/4/11 out of c.4612 in the UK, complete list below. Librarian professional body CILIP forecasts 600 libraries are under threat (inc. 20% of English libraries). The Public Libraries News figure is obtained from counting up all reports about public libraries in the media each day. 1100 jobs to go in Tyneside council spending cuts – Chronicle Live. Includes coverage of cuts in North Tyneside, Newcastle and Gateshead. “Services are to be slashed back, fees and charges hiked up and some libraries closed down as £85m worth of cuts are announced at three councils.”. “Cheers Edinburgh it’s been fun”: Series of mystery book sculptures come to an end – STV. “An accompanying note read: “‘You need to know when to end a story,’ she thought. Often a good story ends where it begins. 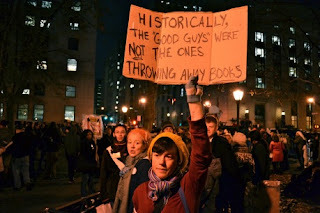 This would mean a return to the Poetry Library. The very place where she had left the first of the ten.” However, only eight of the pro-library/reading artworks have been found. Image CC Philip Bradley from Flickr (via Walk You Home). Public libraries turn up the volume (literally) – Huffington Post (USA). Looking at ways libraries are avoiding the “shhh” stereotype. “A makeover at the Chicago Public Library has turned one room into a teen-heaven, stacking the “YOUMedia” lab on the ground floor with video game systems”. “In the UK, they’ve been cranking up the volume even more. The award-winning Get It Loud In Libraries program has been active since 2005, aiming to showcase up-and-coming bands in libraries across Lancashire. Their mission: to allow “kids from 5 to 65 to check out bands at close quarters in a book clad feelgood venue before they hit the proverbial big time.” See also Louder libraries for a digital age – Education Week (USA). Save the UK libraries? It’s beyond me, admits US guru – Independent. LSSI: “A slug of judicial reviews and lack of tenders by local authorities, which are nervous of outsourcing their library services to independent providers, were among the reasons cited.”. Interesting comments. LSSI “revises UK targets” – BookSeller. Definitive targets not set for UK business, 15% target announced earlier this year now scrapped. Should libraries stick to books? – The Star (Canada). “Toronto’s budget chief questioned Tuesday whether the Toronto Public Library should be in the business of offering popular movies and material not in the English language.” Calls DVDs and non-English material and becoming a community centre “program creep”. Angus – New mobile library to replace Edzell library closed in 2010 has been delayed until Jan 2012. Conwy – Five under threat. Abergele, Colwyn Bay, Llandudno and Llanrwst, and a new or refurbished library which would serve the communities of Llandudno Junction, Deganwy and Conwy. Increased opening hours at these branches. Volunteers are hoped for to take over at Kinmel Bay, Cerrigydrudion, Penmaenmawr, Llanfaifechan and Penrhyn Bay for 15 hours per week opening. Cumbria – DVD provision restored to smallest branches. Hertfordshire – Borehamwood Library gains £12k town council grant to increase hours by 3 per week. Neath Port Talbot – £202k bookfund slightly more than in 2010 (£47k less than Welsh standard). Newcastle – Opening hours to be cut in 12 libraries, volunteers to be used as staff cuts, increased booksale. North Tyneside – Some libraries may close as sites “merge”. North Shields Central Library closed due to delayed decision on spending for repairs, temporary library set up while service awaits go ahead for £2.7m refurbishment. North Yorkshire – Volunteer group: Boroughbridge Area Community Library Association. Southwark – £14m Canada Water library opened. Surrey – Volunteers may no longer be essential for running of Ash, Caterham Hill, Frimley Green, Hersham, Horsley, Knaphill, Lightwater, Shepperton and West Byfleet libraries. Decision in December 2012. Ten volunteer libraries still to go ahead (Bagshot, Bramley, Byfleet, Ewell Court, Lingfield, New Haw, Stoneleigh, Tattenhams, Virginia Water and Warlingham) will run with at least 20% paid library staffing plus dedicated helpline for library volunteers. Angus – Concerns over library provision – Brechin Advertiser. Mobile library that replaced Edzell library closed in 2010 has been off the road, the new vans being promised to replace old ones not having been bought with the purchase date now pushed back to January 2012. Monday 5th December: Pub Quiz Fundraiser – Save Kensal Rise Library. Calderdale – MP slams council for not consulting over new library – Halifax Courier. “… council is risking a huge public backlash by rushing into building a new library in Halifax without fully consulting users, the town’s MP has warned.”. Lots of comments. FoTL Freedom of Information request – Book buying budget cuts – Friends of Todmorden Library. Currently waiting for a response according to “What do they know”. Email sent to author suggest bookfund cut by £150k (100%). Conwy – Public libraries might be sited in schools – North Wales Pioneer. “Schools, community centres and volunteers could be asked to help pitch in with library services. A report to Conwy County Borough Council’s Customers Overview and Scrutiny Comittee today (Wednesday), suggests the council widens its library services from its standard sites to schools and colleges, as suggested by the public. Libraries ot be overhauled – Daily Post. “..after a damning report revealed Conwy Council only achieves six of 14 Welsh Public Library Standards (WPLS), due to poor staffing and inefficient use of floor space.”. School and volunteer idea for libraries – BBC. Northern Ireland – Library cuts “not done deal”: chief executive – Carrick Times. Greenisland and Whitehead opening hours may be cut but consultation may still stop this. Southwark – “Super library” in Southwark opens its doors – BBC. “The £14m Canada Water Library, opened by Southwark Council, will hold 40,000 books, CDs and films. It will also be host to theatre performances, meetings and evening courses. Council bosses claim the library is the “shape of libraries to come”. County Council drop second phase of library plan – BBC. Improving libraries: temporary closures – Surrey Council. Woking and Stanwell are being converted to self-service. Wandsworth/Croydon – Councils to hive off library contracts – 24dash.com. “Bidders are being asked to pitch new ideas on how to improve local libraries and the additional services they could offer – like coffee bars, career advice or online movie streaming.” Also see if external company/trust can gain more funding. Wandsworth’s current management is bidding to run both councils’ services. Could ebooks kill off our libraries? – Metro. The online link to story covered yesterday. Cumbria – Seaton and Moorclose libraries to be partially funded/run by friends groups. Kent – £2.3m cuts in 2011 and before, with an extra £2m cuts to be made by 2014, leading to replacement of paid staff by volunteers, possible closures and merging libraries with town councils/shops. Kirklees – Volunteers to run libraries (with some assistance inc self-service and library computer system ) at Slaithwaite, Golcar, Honley, Lepton, Kirkheaton, Denby Dale and Shepley. “No libraries are going to close“. Worcestershire – Town Council to buy Pershore Library, with £500k refurbishment (reduced by hoped use of volunteers), County Council to pay rent. Information Centre to merge with library. Desperate villagers try to cling on to library – This is Kent. “The prospect of losing their library has left people living in Borough Green distraught…ane Alberine, 39, of Western Road, said: “I would be devastated if it closed. I go there for books and DVDs and my daughter sometimes does her homework there. I run a beginners’ drawing group and we display our work in the library, so we would have nowhere to exhibit the work.”. Fear also that local shops would lose trade. Wiltshire – Council launches new website to help people get online – Chippenham People. Council thinks people who have difficulty getting online will look online for help. Comment below article points out libraries may be a more sensible place, although they have been cut in the county. Wokingham – Council to review libraries decision – Get Wokingham. “Following debate, Wokingham Borough Council approved a recommendation to review its decision to outsource control of the borough’s libraries after a competitive tender process, to take account of public feeling.”. First ever council debate forced by petition (2300 names). Council denies giving council to a private company is privatisation and says it would retain right to increase charges. Also denies that expected 10% cut in libraries budget (plus profit for the private company concerned) would result in any staff losing their jobs and accuse petition’s backers (Lib Dems) of scaremongering. Who? Well, it could be a big name in the library world soon, as it is in the running for taking over the running of the libraries of at least three different councils. As its name suggests, GLL is strongest in running leisure centres, currently running over one hundred of them in London and Southeast England. It is now, though, making serious moves into the public library field. As a statement of intent, it has appointed the well-known Diana Edmonds MBE, ex Haringey libraries chief and establisher previously of Instant Library Ltd, as the head of its new Libraries Division. GLL is tipped to be close to gaining a 15 year contract to run Greenwich libraries and has expressed an interest in running the library services in Croydon and Wandsworth. GLL is a social enterprise, not a private company or council-run, and is registered as a charity. This means that, “Any financial surpluses we generate are reinvested to provide long-term benefits for our customers, employees and the communities where we operate.”. It is “guided by a board of trustees, which is appointed on an annual basis at the general meeting. The board has representation from a number of stakeholders including customers, council, and the workforce.”. It also has green credentials and was the subject of a positive case study by the MLA. However, the move to give contracts to GLL has caused some fear amongst trade unionists – Concerns raised include its attitude to trade union membership and the “secrecy” under which the decisions are being made. Certainly, a 15 year contract (the same length as Laing has in Hounslow) seems to be a surprisingly long one. Questions were also asked about its non-library contract in Barnet which appears to have led to more costs for the council and a decision by the council to try to terminate its contract with GLL. More information on trusts and other not-for-profit organisations for libraries can be found on this page. “Many thousands in rural areas are losing access to mobile and village libraries. Many others visit village libraries to use the Internet which they do not have at home. Thousands of older people, of whom there will be more every day, rely on their local libraries and will not be attracted to a distant ‘hub’, vending machines in train stations and online access. Young parents and carers likewise depend on the intimacy of the smaller local library to give their children a start in life. The disabled and disadvantaged will also be overlooked in this zeal to impose an ill-defined Big Society’ on the populace. These points are vital to the “debate”. Mr Parker ignores them – and that is distressing.” Alan Gibbons respondes to Simon Parker (above). Campaign shouts about school libraries – BookSeller. “A campaign to promote school libraries and school library services aims to make them statutory. The campaign, Shout About, is backed by the Chartered Institute of Library and Information Professionals (CILIP), the Association of Senior Children’s and ­Educational Librarians (ASCEL) and the School Library ­Association. The initiative aims to use lobbying and PR to halt the closure of school libraries and to prevent more qualified school librarians from losing their jobs. Shout About will also campaign for school libraries to be inspected by Ofsted.”. Includes comprehensive comment about state of school libraries in Australia. Library victory and interviews – BBC Politics Show (40:43 – 48.15) . Shows celebration at Watchet and links with Gloucestershire as well. “I expect a fundamental change” in library cuts due to this says campaigners’ lawyer. Glos Leader says he’s not going to “throw away” the £2m cut in libraries. Leader of Somerset Council, Ken Maddock – “it’s a very long and complicated judgement” – said complying with 1964 Act. Leader accepts that they fell short on equalities legislation. Cllr Maddock is straightaway lifting threat to 11 libraries and says he does not have “leave to appeal” so will not be revisiting it. Will still need to save £1.2m libraries via efficiencies (e.g. self-service machines). 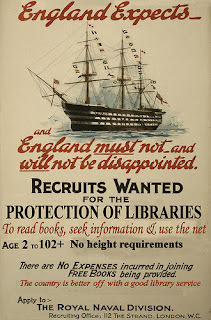 Measuring our value – British Library. A useful report for (1) showing the value of a national library and (2) as a very good indicator of how to demonstrate the value of a library, that could be used by others to persuade councillors etc not to cut them quite so readily. The BL estimates it creates 4.4 times more wealth than it consumes. Northumberland – Mobile Library review completed – some route changing, re-establishment of Saturday service. However, will reduce mobile libraries from four to three. Nottinghamshire – Has cut bookfund by 36% over two years (£1.3m 2009/10 down to £863k 2011/12). Somerset – 11 libraries are safe “for the moment”. Cumbria – Victory as libraries in Allerdale saved from closure – News & Star. Council confirms that it has no plans to close any libraries due to popular outcry. However, declines in usage will be addressed by increase use of volunteers and linking with other facilities, for instance possibly a cafe run by a learning-difficulties charity. Previous suggestions to close libraries and replace “replacing smaller libraries with borrowing points in shops and community centres … sparked an outcry in Moorclose and Seaton, which were mooted as areas where that might happen.” [NB. there has been no clear announcement that volunteers will not entirely replace library staff – as had previously been mooted) and so these libraries still count as “threatened”. Hertfordshire – National Libraries Day – We Heart Libraries. “Here are a few ideas we’re working on for February 4. If you’re organising an National Libraries Day elsewhere in the UK, feel free to use them yourself – and to let us know about your good ideas as well! If you’re local, and would like to get involved, please do get in touch…..” .. library pledges, read-ins, gifts for staff, book trails. LGA spokesman dismissed High Court ruling as “a technicality” on national television. Close the Local Government Association down – Good Library Blog. “What always emerges from what they say is that ‘localism means leaving the local council free to do whatever it wants’ – but the truth, as library campaigners everywhere have learned, is that nothing is more hidden and evasive than the activity of a local council. They need much more central governnment scrutiny – not less.”. Tim Coates is unimpressed by the LGA (see cartoon above). Free libraries are one of the strengths of our nation – Syracuse (USA). A pro-library article with truly scary anti-library comments below it. “Yup-got a library right here at my computer. It’s time for that liberal tax sucking dinosaur to end.” etc. Eugh. Cumbria – Spotlight on the future of South Lakes libraries – Westmorland Gazette. Council claims library usage has dropped [it has, but not as much as funding – Ed.] due to the internet. Working group reporting in Spring on what to do. Some libraries only open 11.5 hours per week. Gloucestershire – Volunteers running Prestbury Library hope to extend their opening hours – This is Glos. “Chairman of the parish council, Councillor Malcolm Stennett, said more volunteers were needed if the library was to extend its opening hours. He said they hoped to open an extra day a week. He said: “We have agreed to maintain the grounds from January. From that date, we will take on the maintenance from the county council. Anybody who wants to join in will be more than welcome because we are looking at putting a team together. I believe it will be quite enjoyable for the residents.”. 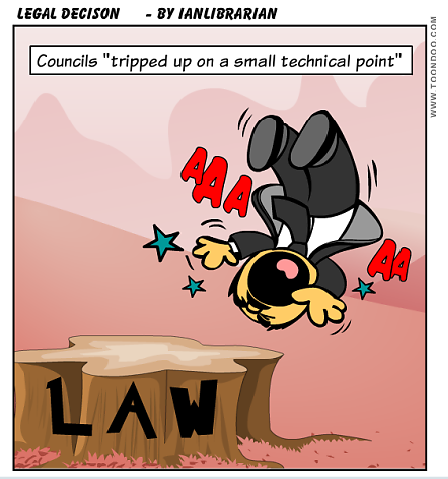 Council claims decision unaffected by legal case, comments deny this and call on Leader to resign. “Well done to Gloucester and Somerset. We are the support group for Atherton library. Our library is being made an Express Library and being located in a school academy which isn’t on a bus route so when members of the library can’t get to the library and the non academic pupils won’t use the library, the wmbc [Wigan Culture and Leisure Trust / Wigan Council] will close it becuase it won’t be used. The hidden agenda of Wigan Borough Council. We will continue fighting for our library service and the decision for Gloucester and Somerset has given us new vigour to keep fighting.” Wigan – Comment on 16th November PLN posting. Animated interview about a certain judicial review result – Youtube. Gloucestershire – High Court Victory: the reaction: wow! – FoGL. Scores of messages of congratulations shown from throughout the country. Kent – Shake-up of Kent’s libraries planned by county council – Kent Online. “Shops, surgeries and schools could all have a role to play in Kent’s library service under a far-reaching shake-up”. Aim to withdraw funding from many libraries, increase self-service. “Asked about the prospect of campaigners challenging any cuts under legislation that requires councils to provide a library service, she added: “The legislation is flexible enough but we will only really know if there is a challenge.””. “We’ve got away with closing them before”. Worcestershire – Council’s bid to end dispute over future of library – Worcester News. Town Council could buy Pershore Library in order to keep it in town centre. County had wanted to close building.